Best Western Plus Lincoln Sands Oceanfront Suites respects the privacy of all our guests, and we are committed to protecting it. To best serve you throughout this website, you will be asked to provide a variety of information, such as name, mailing address, telephone number, email address, credit card information, etc. This information will allow us to provide a personalized experience for each visitor to our website. Best Western Plus Lincoln Sands Oceanfront Suites may inform you by email of our available services, products, specials and sweepstakes. You may opt in or out of receiving these materials at any time. Agents or contractors of Best Western Plus Lincoln Sands Oceanfront Suites and affiliates who have access to your personal information are required to keep the information confidential and not to use it for any other purpose than to carry out the services they are performing for Best Western Plus Lincoln Sands Oceanfront Suites. Best Western Plus Lincoln Sands Oceanfront Suites and affiliates will not sell or distribute any of your personal information to any outside organization for marketing or solicitation without your permission. Best Western Plus Lincoln Sands Oceanfront Suites is committed to the security of the data collected on this Web site, and treat all information you provide us as confidential. We use secure socket layer (SSL) encryption technology to secure the privacy of credit card information, name, address, email and other information you provide us. To better serve you when you are using this site, we also use "cookies" to help us recognize your preferences and selections. Please be aware that third-party Web sites available through links on our web site each have separate privacy and data collection practices. We have no control, responsibility or liability for these third-party policies or actions. 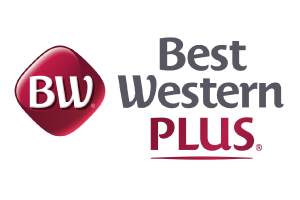 Best Western Plus Lincoln Sands Oceanfront Suites cannot ensure or warrant the security of any information you disclose online to third party sites. This website is subject to United States law. Best Western Plus Lincoln Sands Oceanfront Suites will disclose personally identifiable information without your permission when required by law or in good faith belief that such action is necessary to investigate or protect against harmful activities to guests, visitors, associates, or others, or to property (including this site).